Use this dialog the same way you would specific the dependencies of any other project of the same language. For example, you would format your dependencies for a Python algorithm in the same manner as you would in a requirements.txt file. 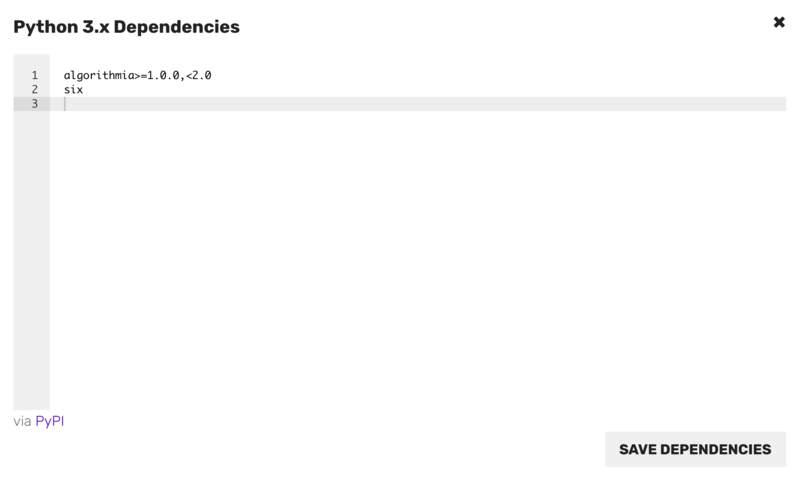 You can explore an open source algorithm: LDA by opening up the Dependencies dialog to see an example of the dependencies specified in Java. For learning how to add dependencies in the language of your choice check out the Algorithm Development section.